I try to eat healthily whenever possible, although this can be a teeny bit difficult when I’m reviewing across the country. 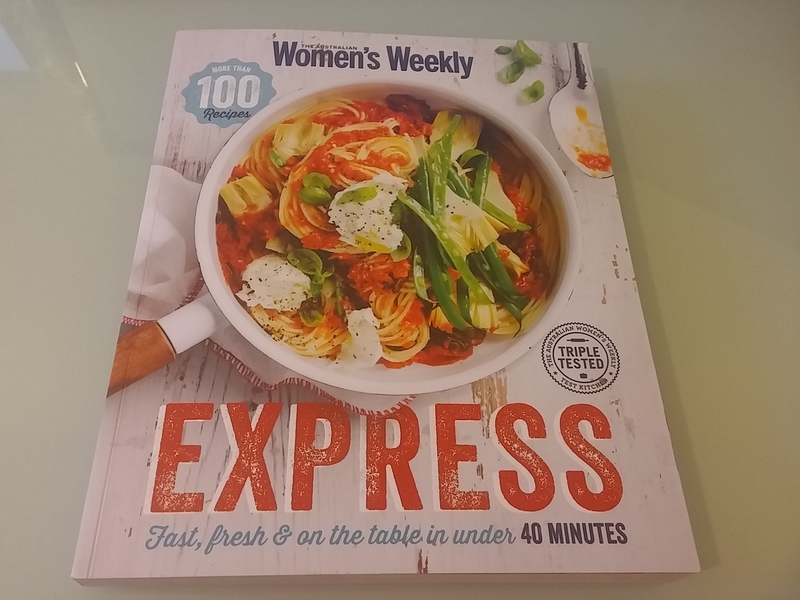 This recipe was quick, simple and I substituted the lamb for turkey mince, which had less than 7% fat. From fridge to table, took just under 30 minutes, which is great for a mid-week meal. Here is the recipe, enjoy. Prep and cook time 20 minutes, serves 2. 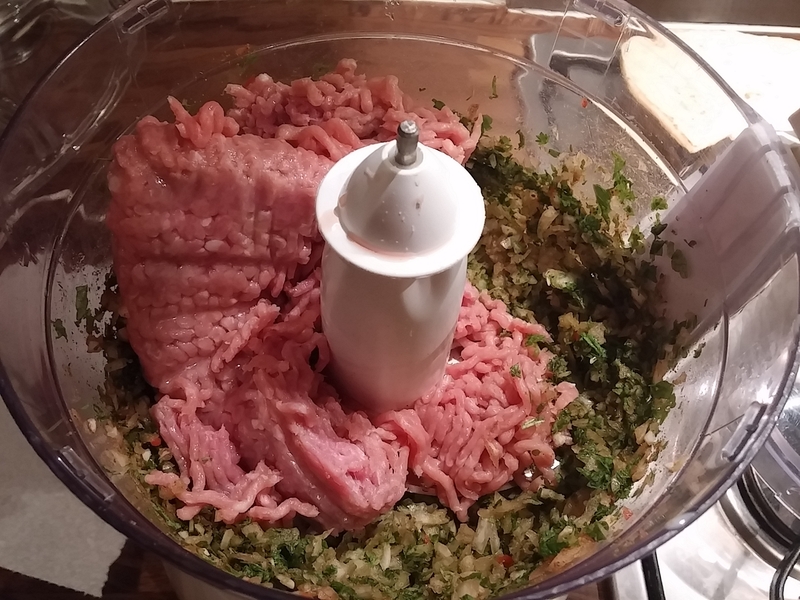 Place spices, onion and herbs in a food processor and pulse for around 10 seconds. Add mince, blitz for a further 40 seconds, until combined. Place 2 tablespoons of vegetable oil in a pan and heat on a low/medium setting. 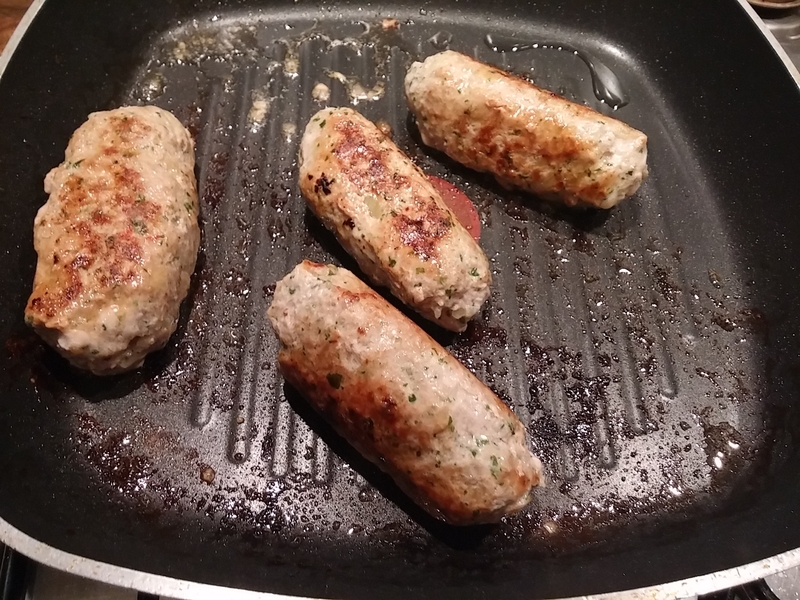 Divide the meat mixture into four portions and using wet hands, shape each portion into 12cm long oval koftas. Thread onto a metal skewer and cook in the now hot frying pan for around 8 minutes, or till golden brown and cooked through. Meanwhile, combine the extra parsley with lettuce and radish in a small bowl. Serve with koftas, pomegranate molasses and yogurt. 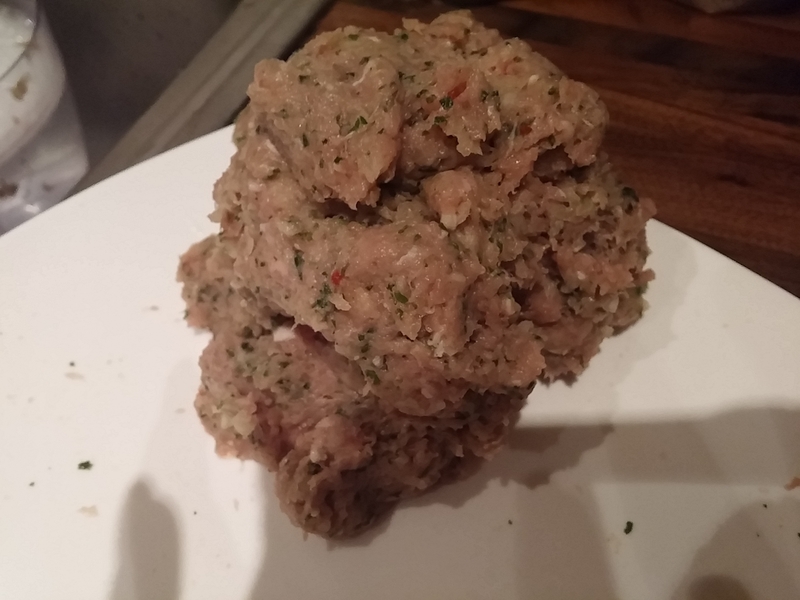 Pulse mince meat and herbs. Mixture when combined should look like this. Fried koftas all done. Just need plating up now. Pomegranate molasses are made by cooking pomegranate juice until it is reduced down into a sweet and sour syrup. I searched delis and Middle-Eastern food stores, but couldn’t find anywhere. I used balsamic vinegar instead, which mimicked the pomegranate molasses flavours and tasted great. You also don’t have to use metal skewers. Using them speeds up the cooking process, as metal is a conductor. If using bamboo skewers, don’t worry about soaking them off (a step not needed, as it won’t be coming into direct contact with flames). The koftas were slightly spicy and moist. I also added in half a red chilli along with first blitzing of the herbs, as I prefer spicier food. It’s the first time I’ve made koftas, hence the, ahem, rustic appearance. I’m also not a fan of using cinnamon in savoury food (IT BELONGS IN CHRISTMAS CAKE AND APPLE PIE! ), but it worked great here. I didn’t take a photo of the final plate, I was too hungry so we scarfed the lot down pronto. Take it from me, it was delicious!